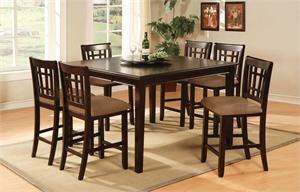 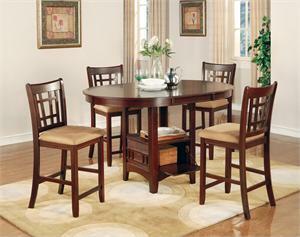 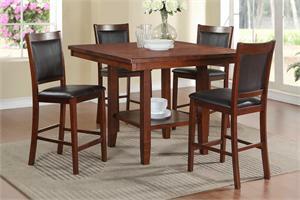 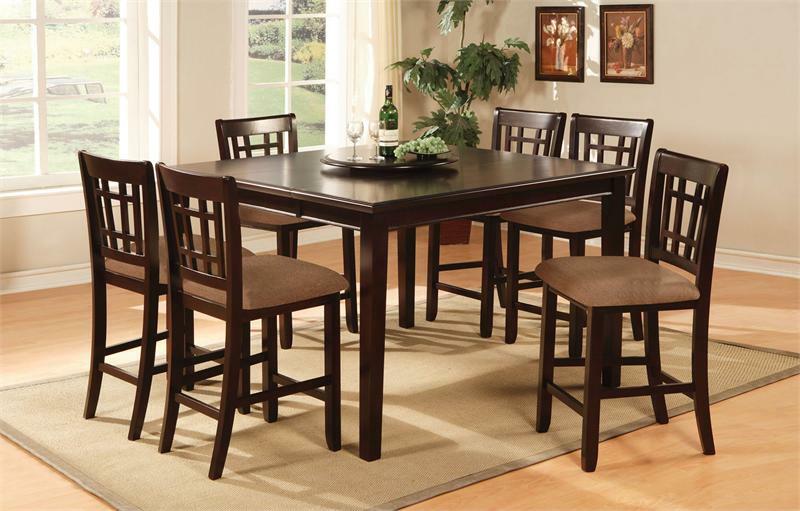 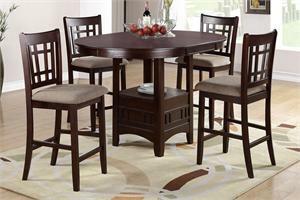 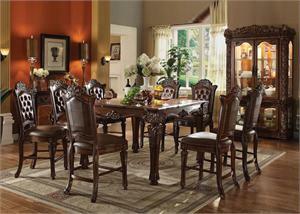 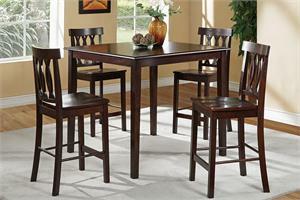 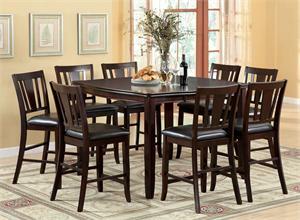 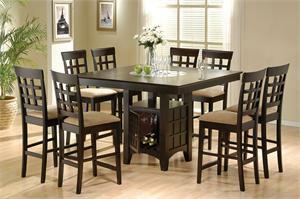 Create a warm and inviting feeling in your dining room with this transitional dining group. 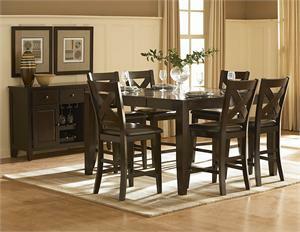 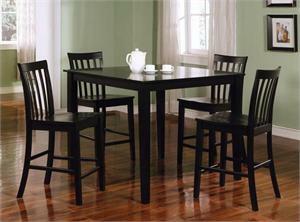 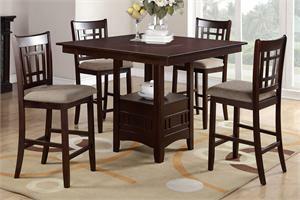 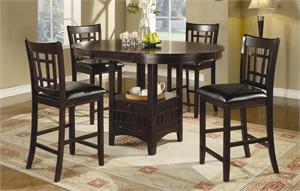 Featured here in dark cherry, the counter height table features a removable lazy susan. 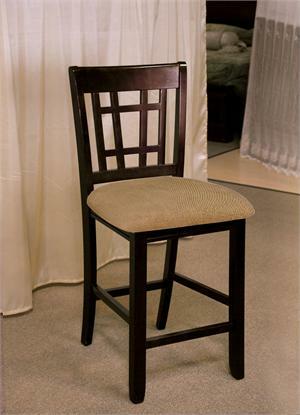 The chair backs feature a window pane design and have upholstered seats.